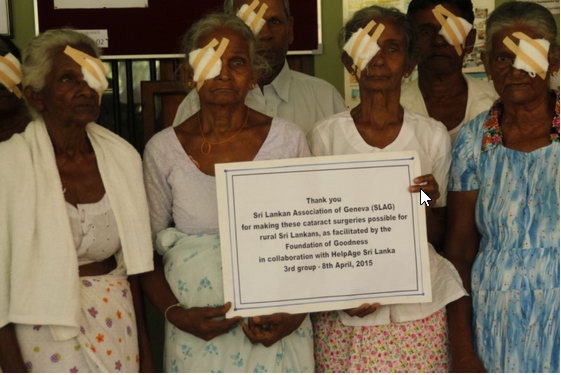 Continuing the second phase of our ‘Cataract project’ we are pleased to inform you that to date, we have completed 21 surgeries – 17 women and 4 men in Sri Lanka in partnership with the Foundation of Goodness. Another group of 20-25 candidates are being screened presently and undergoing various check-ups for the next batch of surgeries. 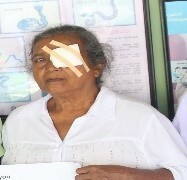 Following the mandatory clearances required, we hope to select another 11 beneficiaries for the next round of surgery scheduled for mid- March. 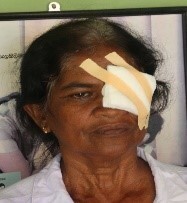 This would bring our total number to 32 surgeries from the second phase alone. 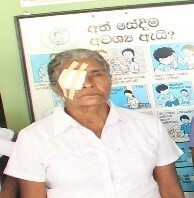 It is with great satisfaction that we record a total number of nearly 85 needy, vulnerable people have been restored with their eye sight in the First and Second phases of the ‘VISION RESTORATION’ project in the last 2 years funded by SLAG and implemented in partnership with the Foundation of Goodness. 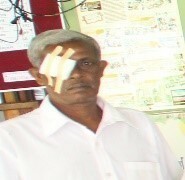 We are thankful to Mr. Chinta Rajab.